Local History > Local History 2 > Railways > L.D. & E.C.R. The Sinking of Bolsover Tunnel. 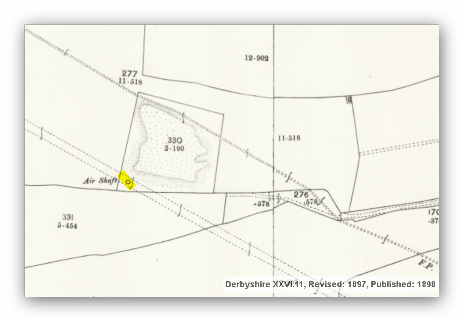 I have recently unearthed an online document which reports on the construction of the local Lancashire, Derbyshire & East Coast Railway in particular the construction of the tunnel at Bolsover to Scarcliffe. The tunnel was one of the longest in England at 2,625 yards in length at a distance from the surface of between 70 and 80 feet and was constructed using a single gradient of 1 in 120, when it was normal practice to use two gradients running backwards each way from the middle so as to help in the drainage of water from the disturbed strata. The original Lancashire, Derbyshire and East Coast Railway was planned in 1891 and completed in 1896, financed by the local colliery company at Bolsover and by the personal fortune of William Arkwright (1857-1925). 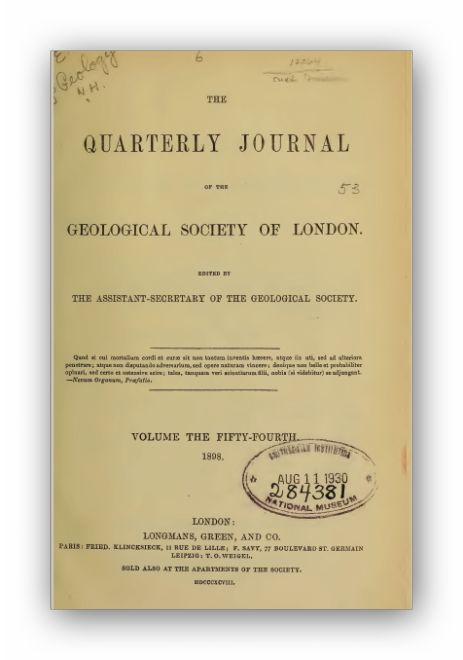 The one mile eight hundred and sixty five yard tunnel yielded around two hundred thousand gallons of water each day as an undesirable by-product. 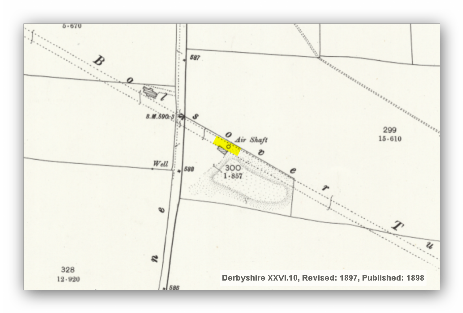 The Bolsover and District Water Company was set up in 1903 to alleviate the problem. The water was used to supply softened and treated piped drinking water for New Bolsover to replace the metal water tanks and stand pipes at the back of the blocks of houses. 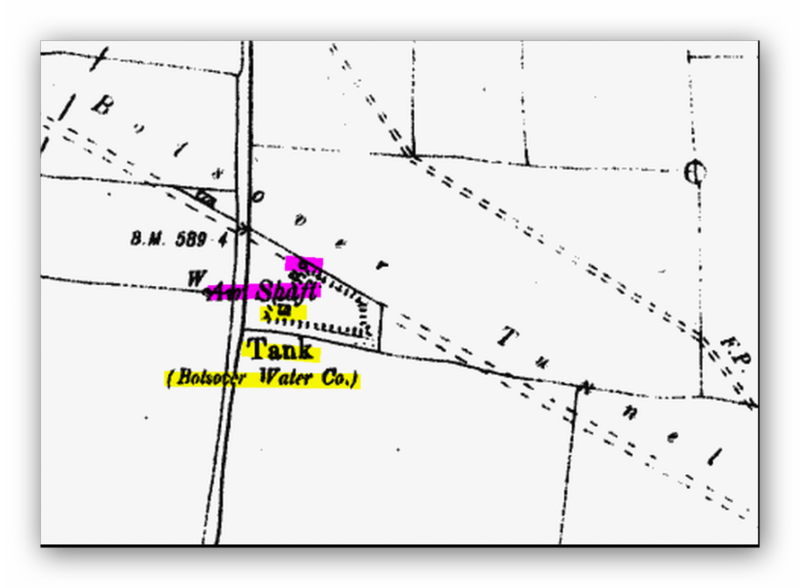 It also replaced the wells and springs in Carr Vale and was pumped up to Hillstown to collecting tanks holding between them 64,000 gallons. 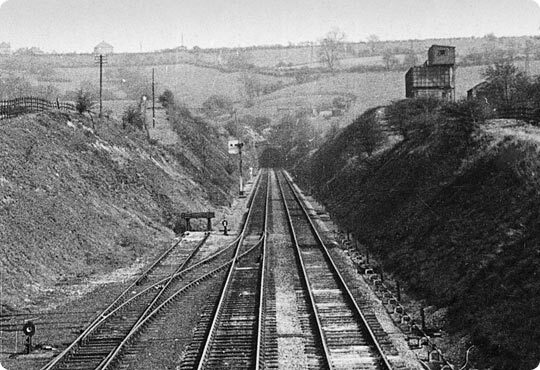 The construction of the tunnel was said to have delayed the completion of the line however the contractors of the line who were the firm of Pearsons and Sons claimed to have completed the work in a shorter length of time than any other comparable tunnel. The tunnel itself was only lined in brick and was not supported with iron girders as were some of the other tunnels of the time, this may have led to the later problems the tunnel suffered during its life. The tunnel was lined in brick some two to three feet thick, it was almost semi-circular in construction at 26 feet wide and 22 feet high. 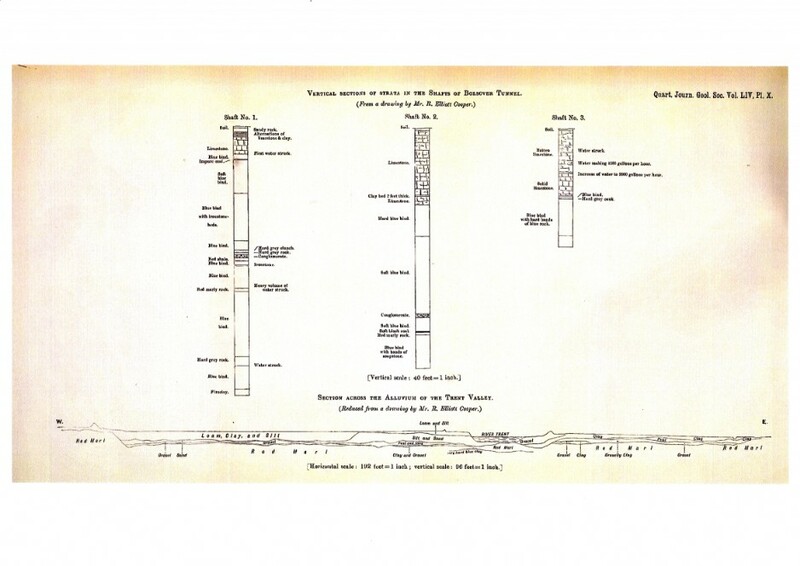 After further research I have found out how the tunnel was constructed using the 16 faces mentioned in the report. Based upon the way in which other tunnels were constructed. First a pilot tunnel of around six feet in diameter was piloted through the length of the tunnel line with two air shafts to provide fresh air into the tunnel. Throughout the length of this pilot tunnel sixteen working faces were used to enlarge the height and width of the pilot tunnel and the dinting the floor to the required size. The rock was removed by blasting at each of the faces and removed the rock would have been loaded by hand and transported in tubs on small rails out of the tunnel and used on the embankments of the railway. 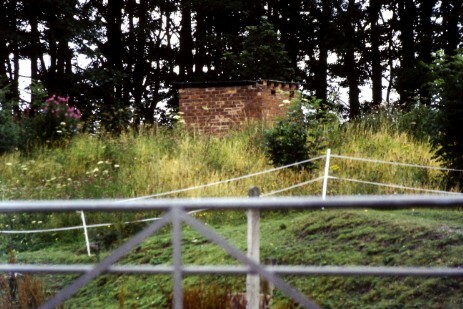 The newly excavated sections would be bricked up for support safety and later upon completion the track would have been laid permanently after the removal of the tub track. HOW THE TUNNEL WAS CONSTRUCTED. West Portal. SK 472697. Carr Vale, Bolsover. East Portal. SK 494685. Scarcliffe. West Air Shaft. SK 479693. Hillstown. 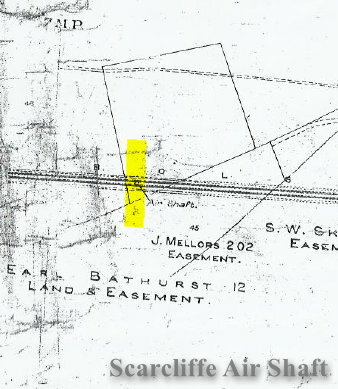 East Air Shaft. SK 486690. 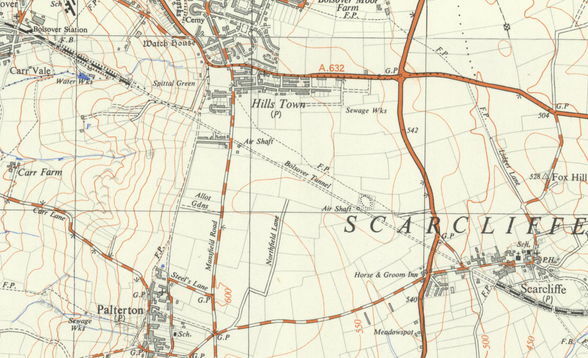 Scarcliffe. 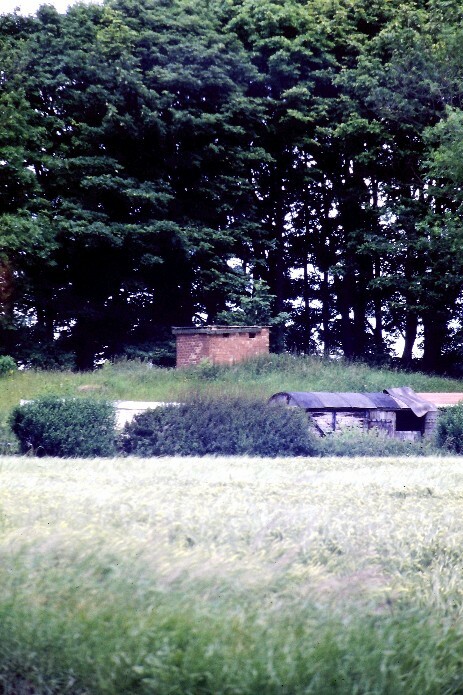 Buildings on the Hillstown Air Shaft spoil heap taken in 1999. 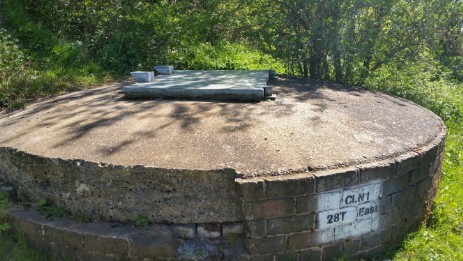 Possibly for water storage. ANB. 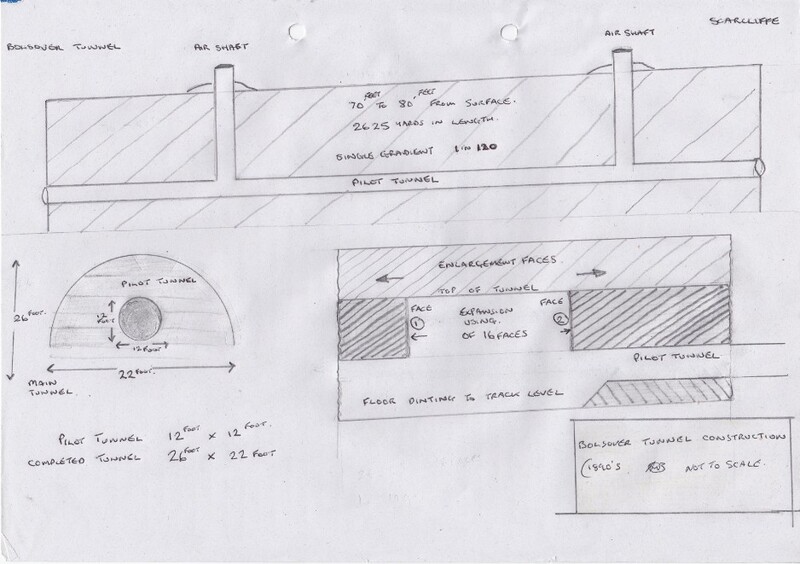 Further documentation has come to light which shows the shaft section of all three of the vent shafts for the tunnel. I can only locate two on the ground but according to the engineer there are three producing 2,000 gallons of water per hour.